The Sedges are a collective group of modest grasses that provide invaluable service on nearly every continent. They create and maintain habitat as well as sustenance for fish, mammals, insects, birds, and humans while providing erosion control, filtration, and remediation for the earth itself. 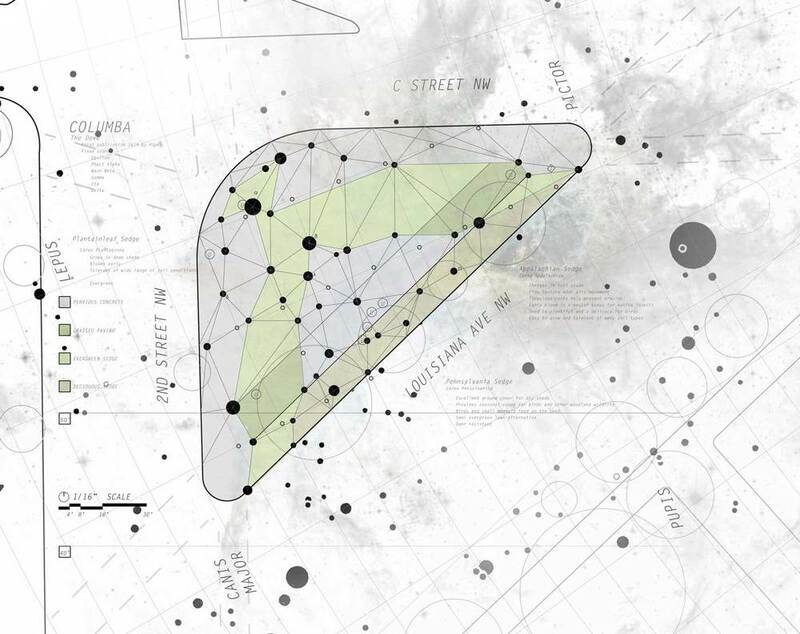 Columba, the celestial constellation of the dove, is reflected in the site, generating a natural organizational concept. Rich variations of regional sedge program the ground plane, while the steel members rise high overhead. 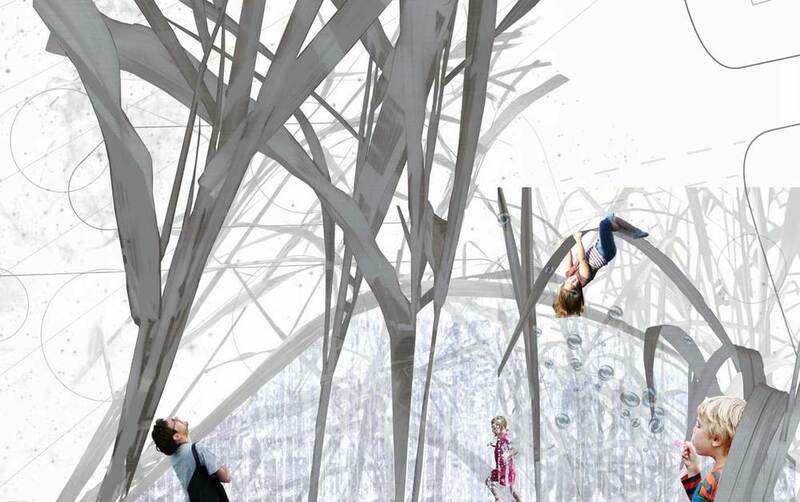 Uplighting gives the site a subtle glow while dynamic lighting within the ‘leaves’ emulates wind moving through grasses. 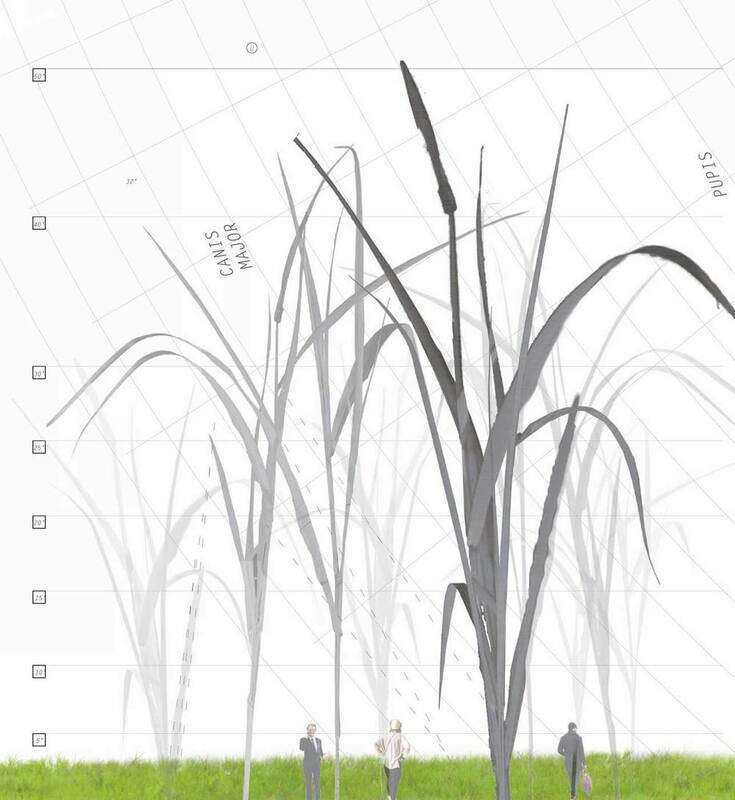 This proposal elevates these unassuming grasses to a monumental scale, interpreted through soaring stainless steel clusters of sedge. They provide visitors to the site with light, water, respite, delight, and more importantly, a symbolic lens through which to cognize and monumentalize the global contributions of the peace corps, as a manifestation of the american spirit.